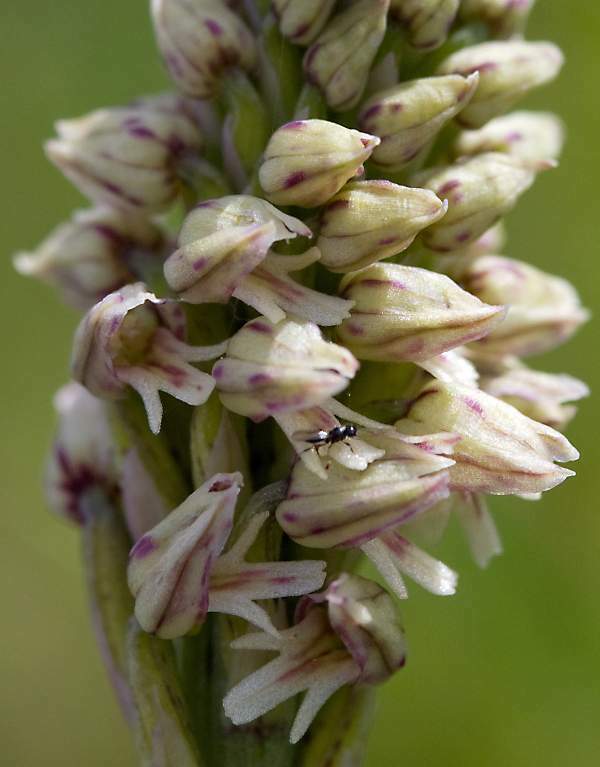 Neotinea maculata, formerly known as Orchis intacta, is a slender plant which grows to around 30cm tall but is often barely half that height. There are 3-6 basal leaves and two or three smaller leaves sheathing the rather robust (for such a tiny plant) stem. Both leaves and stem are frequently marked with reddish-brown streaks and spots. The flowers, which are packed into a dense inflorescence, are tiny, usually white and often flushed to a varying degree with pink. They have a slight vanilla scent. 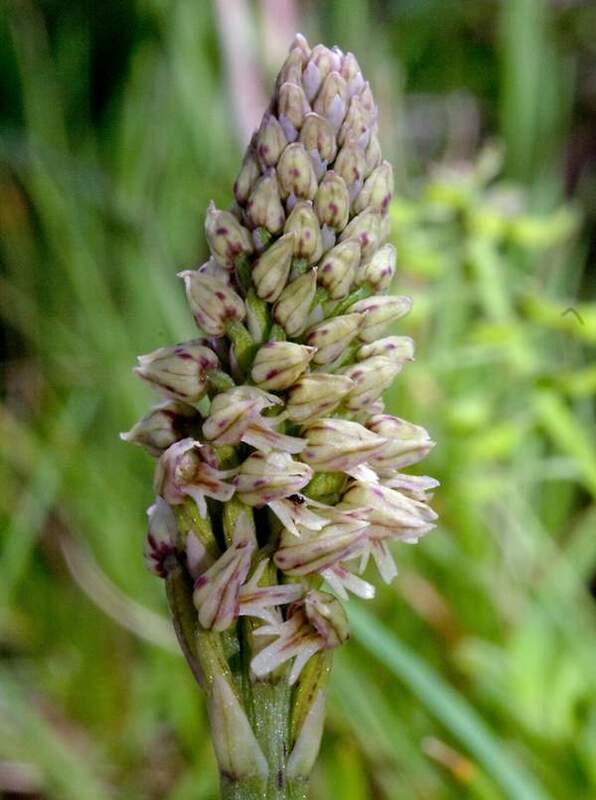 The Dense-flowered Orchid is widespread throughout Europe. 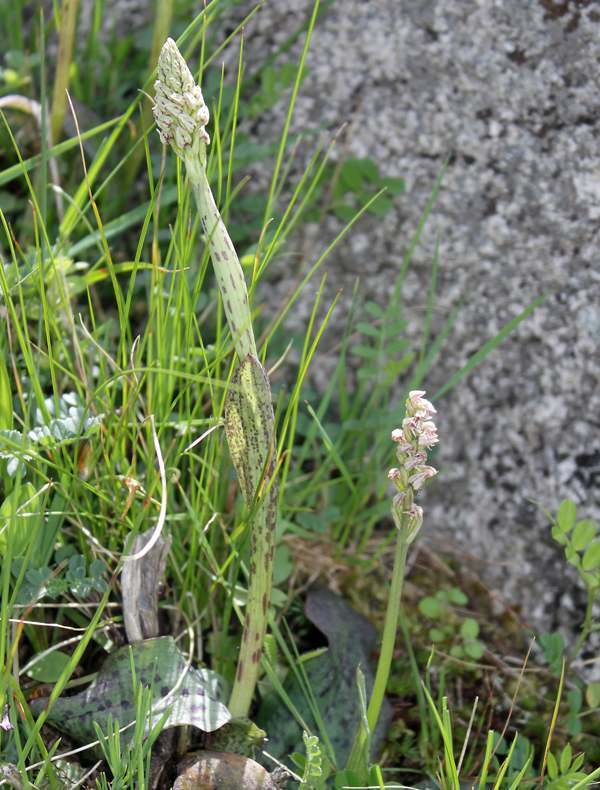 It is one of the plants that makes The Burren, in County Clare, Ireland, such a special place, having as it does arctic plants such as Dryas octopetala and Scilla verna growing alongside Mediterranean plants such as Neotinea maculata. In the UK it also also occurs in the Isle of Man. In continental Europe it appears from as far North as France to as far south and east as Turkey. It is widespread in the Algarve in Portugal where it grows on roadside verges up in the mountains around Monchique as well as in the river valleys alongside paths and tracks often hugging drystone walls. This orchid grows in full sunshine or mid-shade and tolerates alkaline and slightly acidic soils.